Have you seen the new movie, Fantastic Beasts: The Crimes of Grindelwald? 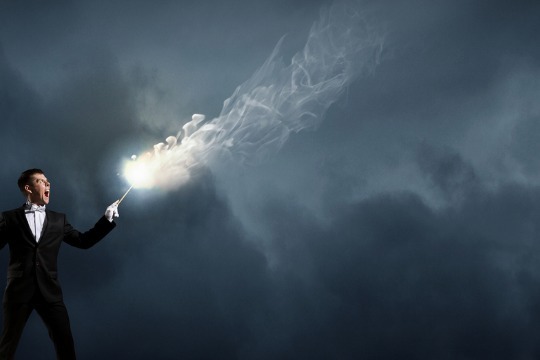 The Wizarding World is a major point of discussion here at Duo since most of us grew up with pretend pencil “wands” in our pockets and bathrobes, praying our Hogwarts letter would come (#millennials anyone?). Here are just a few reasons Grindelwald would make an excellent digital marketer. If he wasn’t so, you know, evil. He had a unique message. Unlike most Hitler-esque, dark wizards of his time, Grindelwald didn’t preach total annihilation of the Muggle (non-magic folk in Britain) world. He embraced them as part of his new kingdom, just on a lesser side. While we don’t support his dark plan to make No-Majs (non-magic folk in North America) slaves, he has a good foothold on what makes a message unique. If you’re marketing something new, you have to look at what makes your message different from the rest of the world’s messaging. Have a brainstorming session with your team to determine how your product differs and what you can capitalize on to make it stand out. He appealed to their pain points. (Warning, slight spoiler ahead). Queenie, an American witch, just wants to be with Jacob, a No-Maj. But in the oppressive magic society of the United States of America, it is illegal for a witch to marry a No-Maj. She has a need to be able to love whomever she pleases, and Grindelwald gives her that. He appeals to her needs, wants, and desires with a cunning message of equality and freedom. Grindelwald also appeals to Credence’s, a sad wizard of unknown origin from the first movie, sense of missing identity. All Credence wants is to know where he came from. Again, Grindelwald takes advantage of that and helps him see how joining the cause for the “Greater Good” can help him find his place. As a marketing professional, you have to understand where your audiences’ pain points are. Do you understand what they need and how you can help them? Without a thorough break down of the personas you are trying to reach, your product and campaigns will fall flat. He met with them one-on-one. Grindelwald takes the time to speak with each of his followers, or so the movie makes it seem. Grindelwald meets one of his followers in his own home and has a discussion that creates trust.” This character feels like she knows Grindelwald, he knows her and is, therefore, more likely to trust him. Similarly, Grindelwald meets another potential follower on a private rooftop to foster a relationship of trust, nurturing, and awareness. Marketers must make their audiences feel trust in the brand by one-on-one personalize experiences. When you send out an ad online, you are able to target more directly the people you want to reach. Not only does this type of hyper-targeting save you time and money, but it also increases revenue and overall growth because your customers are loyal to your brand. Last, Grindewald’s message creative was astounding. At one point in the film, Grindewald speaks to all his followers after calling them to an ancient tomb. He has a well-crafted speech, fascinating imagery, and an offer certain witches and wizards can’t refuse. There was planning to his strategy, creative in his message, and skill in his deliverance. Because he knew his audience so well, had nailed down their pain-points, and established himself as a trustworthy figure of authority, his call-to-action message was easily accepted. At Duo, we believe everything comes down to your creative and messaging. If you don’t have the right image, text, headline, or call-to-action, your audience won’t do anything with your ad. Part of how we make sure our ads are the right creative is through our extensive testing process. We send out 20+ ads the same time in a rapid-fire succession to narrow down to the right creative. We know that successful marketing has to come down to your creative. While we highly recommend NOT duplicating your marketing to be like his dark, deceptive ways, we do recommend learning from the way he gathered followers and called them to action.